Just at Staples grabbing some shipping supplies. Rewards will be going out very soon. I can't wait to get these books into the hands of the people that supported this project! Did we tell you that we are working with the fabulous ZG Communications team!? They are helping us spread the word and get Animal Appetites some media attention! Only 20 more postcards to sign...and address...and stamp! My hand is getting sore but I'm pretty excited to see everything coming together! Our October launch is just around the corner so tell your friends! 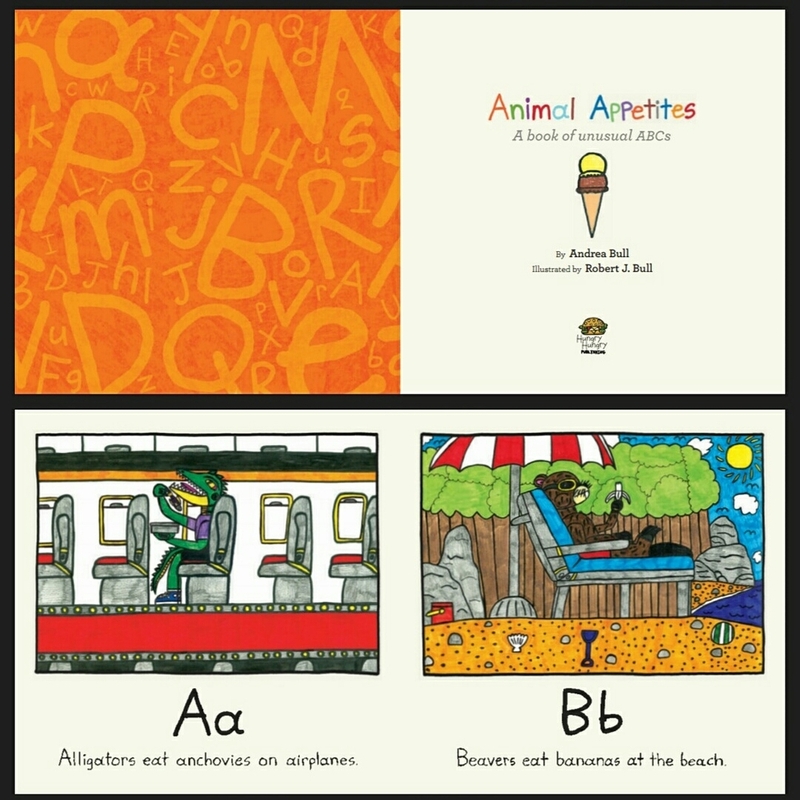 I spent this lazy sunday building the Animal Appetites ebook! I've learnt a lot doing this project...and I mean A LOT. I was so surprised how easy it is to create an ebook with Apple's ibooks Author and Amazon's Kindle Kids Book Creator. With a tight budget I was really worried about doing it on my own but that just goes to show - you'llyou'll never know until you try. I can't wait to share this with all of you! Spent the night working in Photoshop creating black and white images out of Rob's illustrations. The letter V was pretty difficult! These will be used in the Animal Appetites activity sheets so kids will be able to colour in the images as they work through the alphabet! We just got all of our books back from the printer and couldn't be happier with how they've turned out! I can't wait to get these in the hands of all of our amazing supports! Sneak peak at the internal layout of the book! Our designer Elisa Gutiérrez did such an amazing job pulling it all together. Get yourself a copy to see the rest here on the website! Books are available for pre-order purchase now! Just got these very cool thank you postcards back from the printer today! Time to start signing! 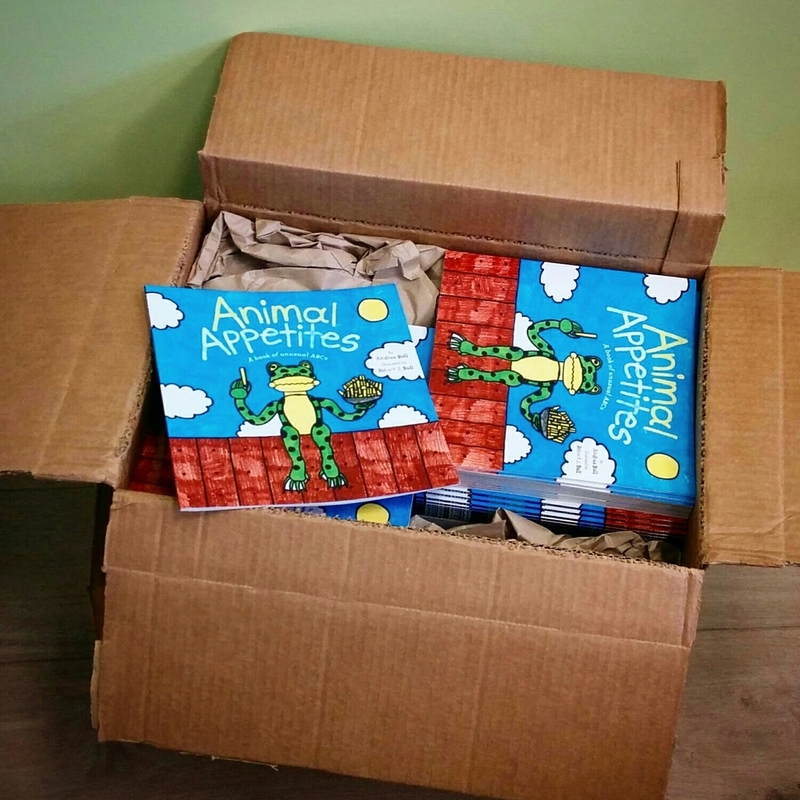 Don't forget to spread the word about Animal Appetites to you friends and family - the book will be up for sale inin October! New Publishing Name & Logo! Animal Appetites (and any future projects) will be published under Hungry Hungry Publishing - our new self-publisher identity! A HUGE THANKS to @salchipulpo for creating this awesome and very special logo out of Rob's work. We're back with BIG NEWS! We have received our first copy of the book! Here is a sneak peak of our fantastic front cover design. We have been hard at work getting things done behind the scenes and have LOTS of exciting news to share with you shortly. Stay tuned!